Perth’s event dedicated to LEGO, Bricktober, is having its third annual exhibition coming up on October 8-9 and they are looking for volunteers to help out, in addition to the registered exhibitors. 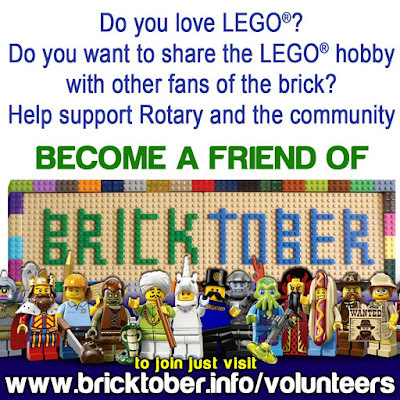 If you or anyone you know might be interested in helping out, please visit the Volunteer page at the Bricktober website for more info (www.bricktober.info/volunteers/) or click on the image. Bricktober is organised by Stephen Kendall of the Rotary Club of Ascot.